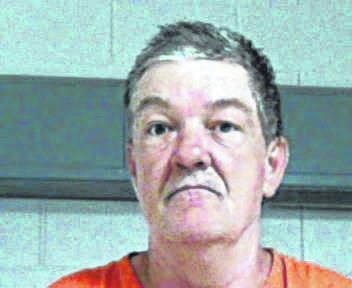 GALLIPOLIS FERRY — A Gallipolis Ferry man has been arrested and accused of sexually abusing a juvenile. Johnny E. Donohue, 47, was arrested Friday night by troopers with the Mason County Detachment of the West Virginia State Police. According to the criminal complaint filed in Mason County Magistrate Court, Donohue has been charged with two counts of sexual abuse of a minor by a parent or guardian and two counts of first degree sexual assault. Donohue appeared before Magistrate Gail Roush for arraignment, with Roush setting his bond at $100,000, cash only. Donohue is currently being held at the Western Regional Jail. Donohue’s preliminary hearing has not yet been set. According to the criminal complaint, the victim reportedly stated the abuse lasted for approximately a year. The victim reported the alleged first occurrence happened during a stay in a homeless shelter and the following occurrences happened in the victim’s residence, according to the complaint. Reportedly, the victim told troopers Donohue would state, “it is between you, me, and God,” prior to the abuse as reported in the criminal complaint. During an interview, the troopers had with Donohue, he reportedly stated he needed “help” for his “improprieties,” according to the criminal complaint. Donohue also reportedly spoke to troopers about his alleged frequent drug use and made numerous statements about his relationship with God, according to the criminal complaint.